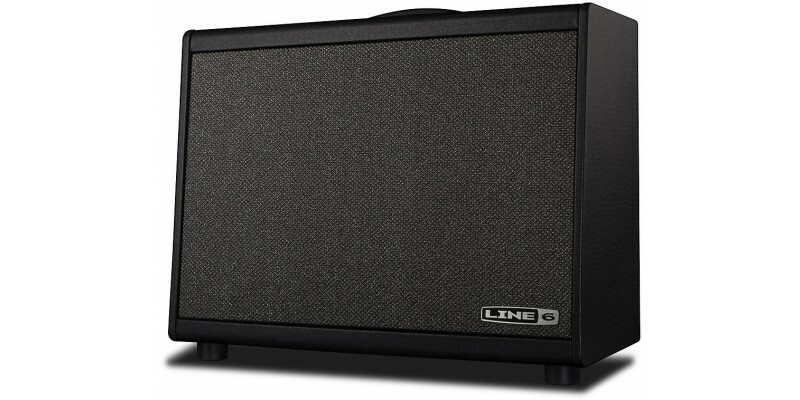 The Line 6 Powercab 112 is a 1x12" speaker cabinet with built-in speaker modelling, allowing you to dial in the unique sound produced by six classic speakers - all without changing cab. This groundbreaking functionality is packaged in a lightweight, road-worthy cabinet packed with other useful features such as kick stands and an XLR direct output. Now available from Merchant City Music, the Powercab 112 rewrites the rule book once again. Demo it in our Glasgow store, or buy online for fast delivery to the UK and Europe. 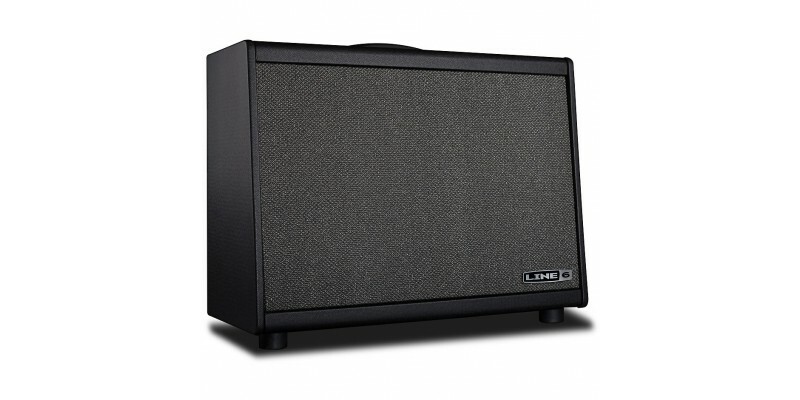 The Powercab 112 is a 1x12 active speaker system that delivers an authentic “amp-in-the-room” playing experience when paired with any modeller, profiler, or even an amp-simulation pedal. Select one of six classic Speaker Models as alternatives to your current cab models, or simply plug in your modeller and play using Flat Mode - the choice is yours. The Powercab 112 is also loud enough to fill any small club or medium-sized venue, and performing guitarists will also appreciate its lightweight yet roadworthy construction, compact size, flip-out kickstands, and XLR direct output. The sound of great amplifiers is due to the speaker as much as from the other components, yet until now no one has modelled an actual speaker driver alone, independently from the cabinet it is loaded into. Imagine having an empty 1x12 speaker cabinet that you can instantly load with any one of six classic speaker types (Vintage 30, Greenback, Creamback, P12Q, Swamp Thang, and Blue Bell) just by pressing a button. 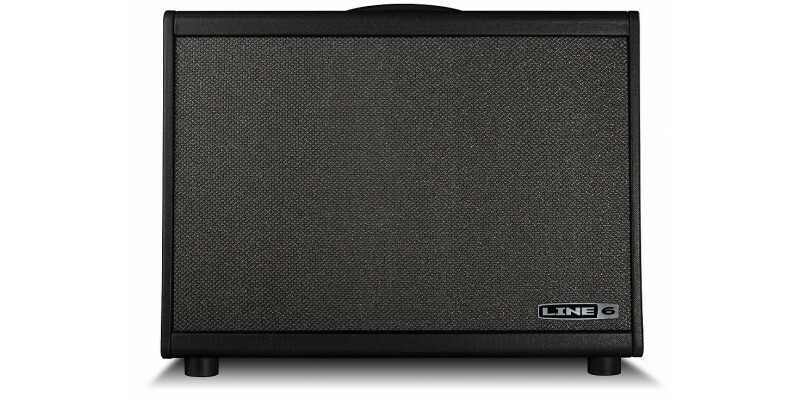 Speaker Modeling mode enables you to do just that - virtually - using a new technology developed by Line 6. Powercabs feature a custom hybrid coaxial speaker with a lightweight cone and a high-temperature 2" voice coil that delivers the punch and dynamic response you expect from a guitar speaker, along with the extended range of a P.A. speaker - a design that adds unparalleled authenticity to the sound and response of the speaker models. In Flat Mode, Powercab 112 delivers a neutral frequency response from 70Hz to 20kHz with plenty of headroom. There is no need to adjust your modeller’s settings - your presets will sound just the way you expect them to. In addition to sounding and responding like traditional guitar cabinets, Powercab guitar speaker systems also look the part. Unlike many other powered cabinets currently used with modellers, The Powercab 112 doesn’t resemble a P.A. speaker. 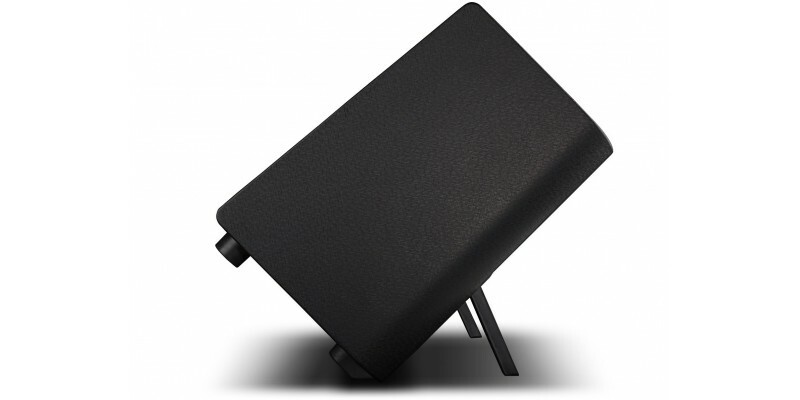 Instead, it features familiar touches such as stylish covering material and grill cloth, as well as flip-out kickstands that allow it to be angled toward the performer, whether used in the backline or as a frontline monitor. Sturdily constructed of plywood and featuring a unique curved back that add rigidity while decreasing weight, the Powercab 112 is designed to withstand the rigours of the road. Weighing in at a gig-friendly 15 kilograms (33 pounds), and small enough to easily be carried with one hand, it is nonetheless loud enough to fill small clubs and medium-sized venues. 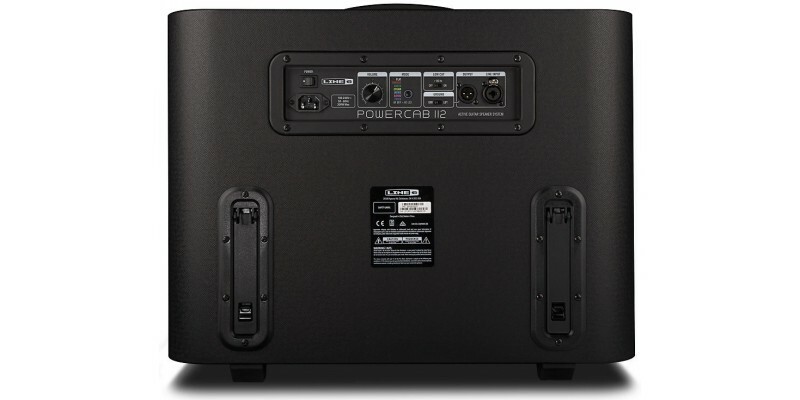 The Powercab 112 also features an XLR output with microphone emulation for feeding the FOH, while flip-out kickstands allow it to be angled toward the performer for additional onstage versatility.